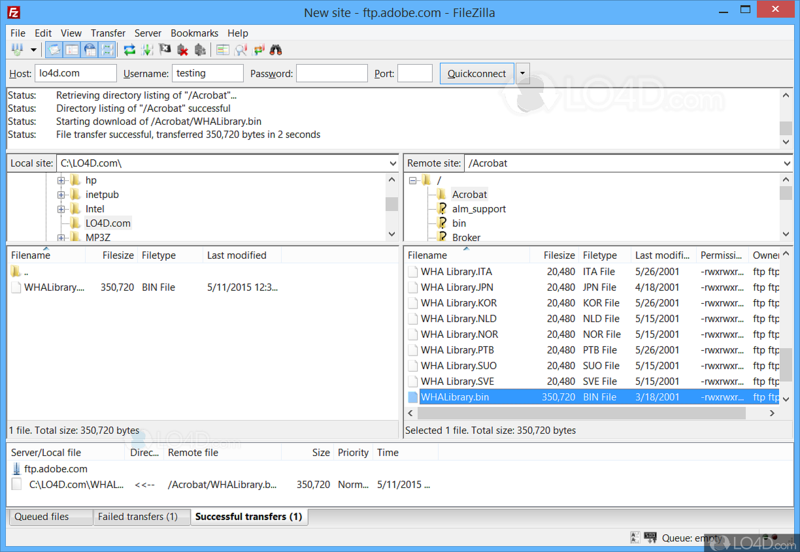 FileZilla is absolutely the best freeware FTP program available, not to mention perhaps one of the best overall rivaling commercial clients like CuteFTP or FlashFXP. It comes jam-packed with the most important features and is supported by an open-source oriented developer community. The interface takes a little getting used to, but if you're familiar with FlashFXP or CuteFTP, it should take little to no time to know your way around. It's super fast. One major plus is FileZilla caches directories which increases browsing speeds and saves a lot of time. Standard client features exist like drag-and-drop support, Quick Connect (to frequently used, saved sites), it allows you to upload and download simultaniously and features scheduled bandwidth throttling controls. This client can even learn custom commands. If one was to say FileZilla was the best client out there, there'd be no disagreement from us! FileZilla can connect to sFTP servers, edit PHP files and edit HTML documents. FileZilla is licensed as freeware for the Windows (32-bit and 64-bit) operating system / platform from ftp clients without restrictions. 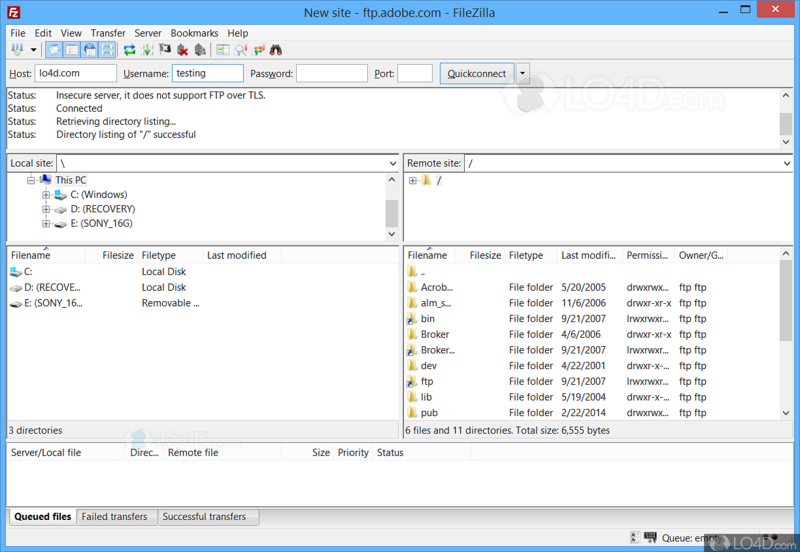 FileZilla 3.41.2 is available to all software users as a free download (Freeware). Compatibility with this FTP client software may vary, but will generally run fine under Microsoft Windows 10, 8, 8.1, 7, Vista and XP on either a 32-bit or 64-bit setup. A separate x64 version may be available from Filezilla-project. This download was signed by Tim Kosse and distributed as FileZilla_3.41.2_win32-setup.exe and FileZilla_3.41.2_win64-setup.exe. 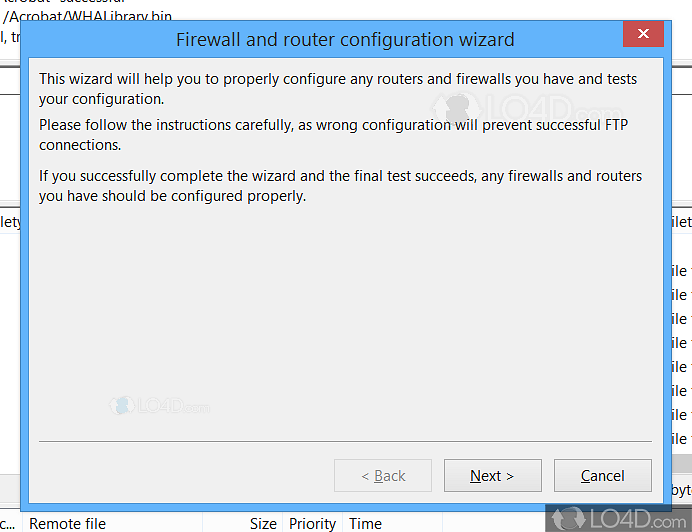 We have tested FileZilla 3.41.2 against malware with several different programs. We certify that this program is clean of viruses, malware and trojans.